Easy to find. 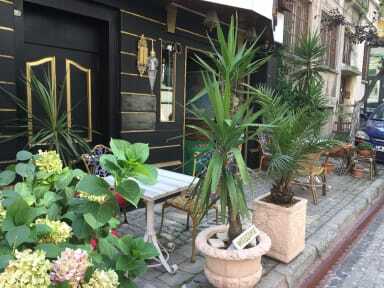 Air conditioning ( very important in Istambul) , nice breakfast , in the hart of Sultanahmet , the staff help me in all the way , make my viSit in Istambul relaxing and safe . Basically I find in this place everithing I needed. Sono stato due state all'Avrasya Hostel, zona Sultanahmet, vicino ad Aya Sofia e Moschea Blu. Ottima posizione, colazione soddisfacente, pulito, e silenzioso. Il proprietario è anche simpatico! I think it's a really good place to stay considering price, location and cleaning. The staff is nice and helpful and the Wi-Fi works good, even for skyping or streaming. Definitely satisfy. I had anche Amazing experience at Avrasya hostel! The receptionist was really nice and helpful. The position is perfect: in the real center. The room was clean and cosy. I strongly recommend It! Un luogo molto accogliente... Lo staff molto gentile e disponibile... Una bella terrazza dove poter godere della colazione. E di un atmosfera rilassante in compagnia degli ospiti. My stay at Avrasya Hostel was just perfect, amazing position, tidy and quite dormitory. The staff is so kind and always try to help their guests..thank you guys! Un posto tranquillo, posizione eccellente.